With Fox and Warner Bros. competing against one another when their animated features hit theaters, it seems a schedule shift has just eased some of the tension between the two studios. Fox has announced it has moved up their release date for How to Train Your Dragon 3 to May 18, 2018 from June 29, 2018. The film’s new date now occupies the original release date for The LEGO Movie 2 by Warner Bros. as that sequel has just been pushed back by the studio. Instead of hitting theaters on May 18, 2018, The LEGO Movie 2 will debut nearly a year later on February 8, 2019. How to Train Your Dragon 3 is no stranger to line-up changes as the project has been pushed back several times since its announcement. As the threequel will almost certainly wrap up its franchise, How to Train Your Dragon 3 was at one point scheduled to face-off against Disney/Pixar’s Finding Dory this past week before Fox nixed those overly ambitious plans. The film was pushed back from 2016 to 2017, but then the project was again delayed until 2018 after DreamWorks Animation announced it was altering its business strategy to produces 2 new films a year rather than 3 following some box-office slumps. However, How to Train Your Dragon 3’s newest release date breaks the trend and moves the film up to release just a month before Disney/Pixar makes a comeback with Toy Story 4. On the other hand, The LEGO Movie 2 has suffered fewer setbacks since the sequel was announced following the success of its predecessor, The LEGO Movie, in 2014. While no explanation has been given for the film’s delay, one possible explanation is simply that animation is hardwork. 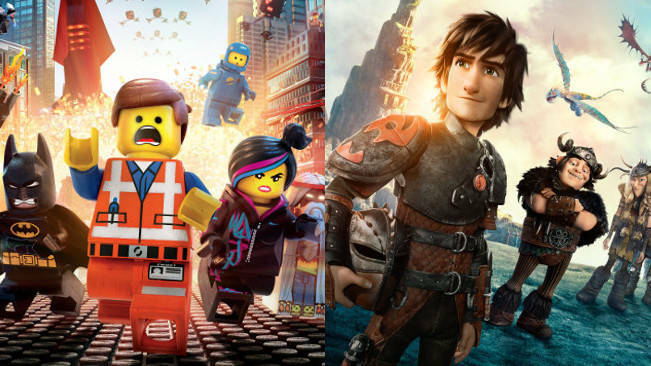 With animated features famously taking 4 to 7 years to create, The LEGO Movie 2 might be taking its time to ensure it's just as hilarious and eccentric as the first film. Another reason for the delay might be because a 2018 release would make Warner Bros. compete against itself as The LEGO Batman Movie and The Ninjago LEGO Movie are both slated to release in 2017. By dragging out The LEGO Movie 2 release date, fans would be eager to see the film following the franchise's prolonged absence. For now, fans of the two films will just have to wait to see the franchises' next installments. With the market for animated features booming, competition will be surely be stiff for Fox and Warner Bros. regardless of when their upcoming film do hit theaters.